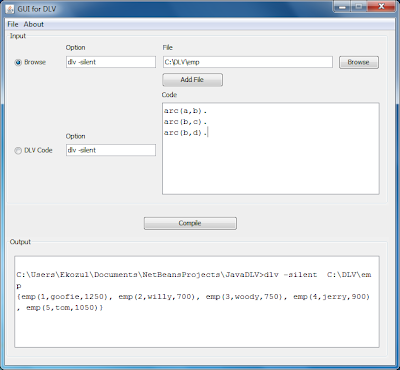 This is a screenshot of java simple application that I have made to ease me to learn about DLV. 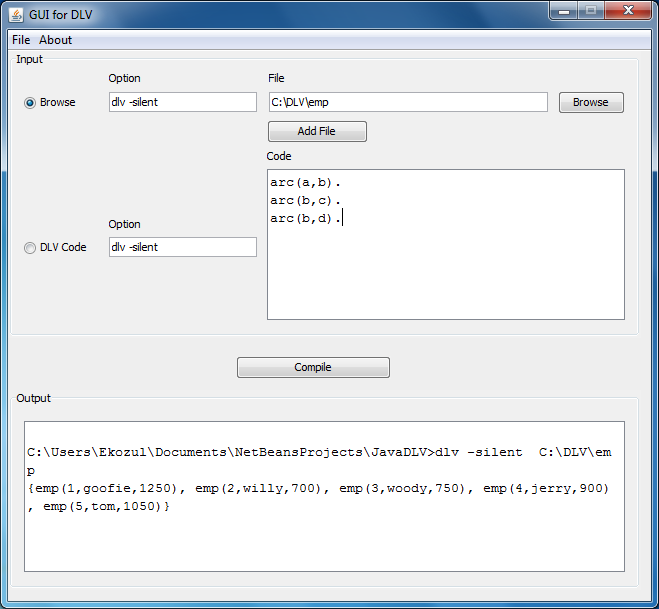 I named this application "GUI for DLV". May God give success to my research.